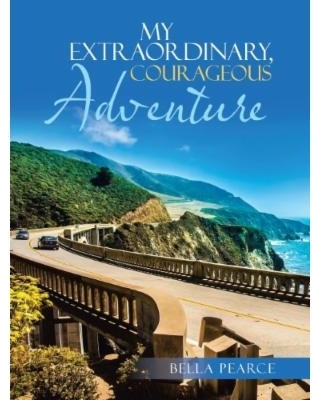 A former WWOOF Australia host, writing under the pen name of Bella Pearce, reveals how volunteer work saved her from mid-life crisis in her debut book, My Extraordinary, Courageous Adventure. GOLD COAST, Australia – 2012 was the beginning of a new chapter in the life of Bella Pearce. Determined to change her perspective on life, she set about an extraordinary journey volunteering to work on sustainable farms throughout the United States and Canada. In her memoir, “My Extraordinary, Courageous Adventure” (published by Balboa Press AU), Pearce shares how her volunteer work helped her find the strength to recover from the stress, grief and loneliness after her marriage breakdown and business failure. From living on a dock in Alaska, a luxury cabin in Canada to sleeping in a tent in California, Pearce shares stories reflecting upon the different location’s cultures and lifestyles. Visiting The Caribbean and house-sitting in Canada over winter was the grand finale for Pearce’s total life rejuvenation.